One of the biggest natural reservations of the the World is found in Patagonia in the south of the Argentine Republic. This virgen, unexplored region has a great variety of landscapes and it can be enjoyed all-year-round as each season offers something different and attractive to the visitors. It starts where the Andean Range ends. There are big mountains, lakes and rivers full of salmon and trout and woods where the local flora and fauna add magic and transform the area into a safe shelter for those who apppreciate life in its full dimension. It is precisely right here, in this touristic paradise that Arelauquen Lodge is found, in the Argentine Patagonia, on the banks of Lago Gutiérrez. 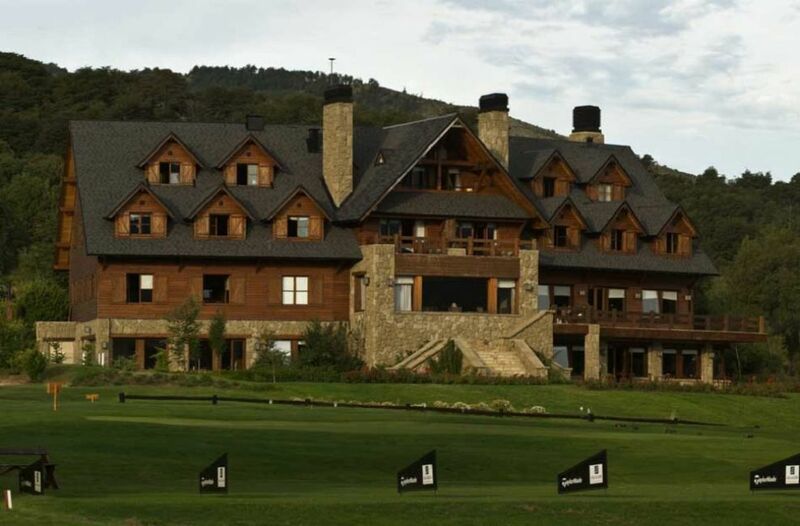 This marvellous boutique hotel is characterized by the surrounding landscape and its strategic position as it is only fifteen minuten away from the city of Bariloche, 20 minutes from the international airport (with its own transfer service) and 10 minutes from Cerro Catedral which is the most important ski-center of the region. Arelauquen Lodge's 28 rooms feature dramatic views of the mountains, golf course and lake that are hallmarks of Bariloche's majestic beauty. Each room has its own unique décor, architecture, and appointments. Ranging from 270 square feet to 505 square feet, guest rooms are designed for comfort and relaxation, and offer rich estate-quality furnishings, comfortable sitting areas and large windows that frame the alpine splendor. With a luxurious but comfortable ambiance, guest rooms include the very finest amenities, such as 450-thread-count Egyptian cotton sheets and down bedding, plush bathrobes and slippers, complimentary wireless Internet access, refrigerator, an LED television, hairdryer, coffee maker, and in-room safe. For your convenience, every suite features a fully equipped kitchenette, with dishes, utensils and stainless steel appliances. Our 24-hour, expert concierge team provides first-class, personalized service to every guest, from personal shopping and dining and entertainment reservations to provisioning your pantry and refrigerator with your favorite foods and beverages. We strive to satisfy every request, no matter how unique. EPIC is Arelauquen Lodge's signature restaurant. It blends international cuisine and regional inspiration in an unforgettable mountain setting, where guests can enjoy a relaxed yet refined dining experience. The menu portrays Executive Chef Julian del Pino’s unique creations, which are notable for the top quality, carefully selected local ingredients, prepared with care and presented in remarkable style. EPIC is open for breakfast, lunch and dinner; room service is available 24/7. Al fresco dining is available in the summertime. Jump start your day with a nutritious, home-made breakfast, where every component is handcrafted in the hotel’s kitchen, from delicious breads and croissants to homemade jams and much more. Complemented by the best selection of natural juices and fresh fruits, every single breakfast is served directly at the guest’s table to ensure every product’s quality – the croissants go straight from the oven to your plate! The lunch menu features an exquisite, light, varied selection of dishes that go from a diversity of sandwiches with multiple delicious breads to choose from, traditional and signature salads and main dishes created with top quality products and the freshest local ingredients available in the market. During the afternoon, enjoy the breathtaking views of Lake Gutierrez from the lobby or in your room while tasting a most delicious variety of pastries harmoniously complemented by the perfect choice of tea from our exclusive selection. Freshly baked preparations will make for an unforgettable tea ceremony in this amazing setting. Dinner is where Chef del Pino will leave no doubt as to why EPIC is amongst the best restaurants in the country, taking the region’s cuisine to a new level. The most discriminating selection of fresh ingredients and local produce are combined in a world-class kitchen with the outstanding skills and technique of Chef del Pino's team. The menu varies according to the season to maximize the taste and presentation of every offering. An exclusive and expansive selection of wines provides the perfect pairing for each meal, bringing the entire culinary experience to a different level for wine lovers. Our sommelier constantly works to bring to our cellar the best wines the country has to offer. A wide selection of world-class spirits awaits in the bar, as well as a very special menu of signature cocktails, and even a variety of special coffees and delicate herbal infusions. EPIC offers a new and innovative room service option that provides guests with a very different, rarely seen alternative, the height of luxury and convenience. Arelauquen Lodge’s guests are able to choose from a special menu, purposefully created by our Chef, with unique dishes whose preparation can be savored in the privacy and comfort of your room. 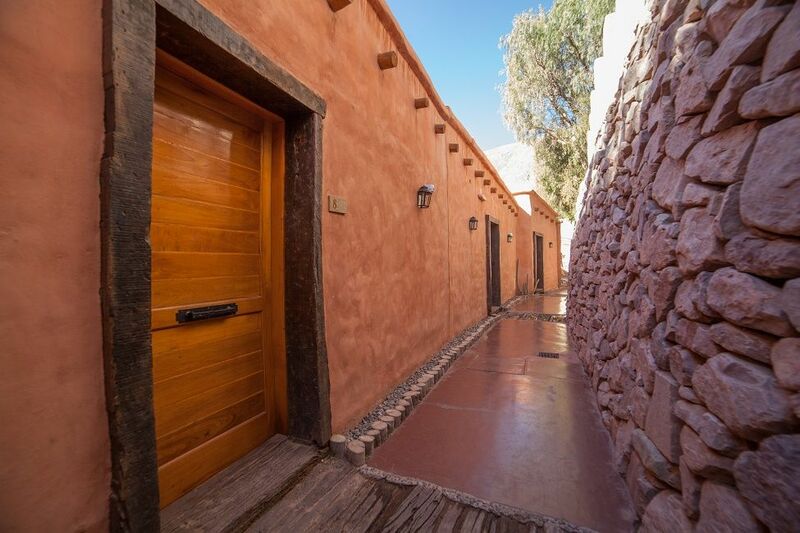 A variety of gastronomic activities will be offered at the Lodge, from cooking classes to special food tastings, including traditional “asados” and clay oven pastries. Guests may request take-away meals that are conveniently packed to be carried to any activity or excursion. The picnic menu goes from breakfast options and lunch boxes to sweets and desserts, each of which is carefully prepared and packaged. Experience an excellent culinary experience to be enjoyed anytime, anywhere. Arelauquen lodge is located 15-minute drive from downtown Bariloche, in bank of the Lago Gutierrez. There are many flights daily to Bariloche. · Breakfast at Restaurante Epic. 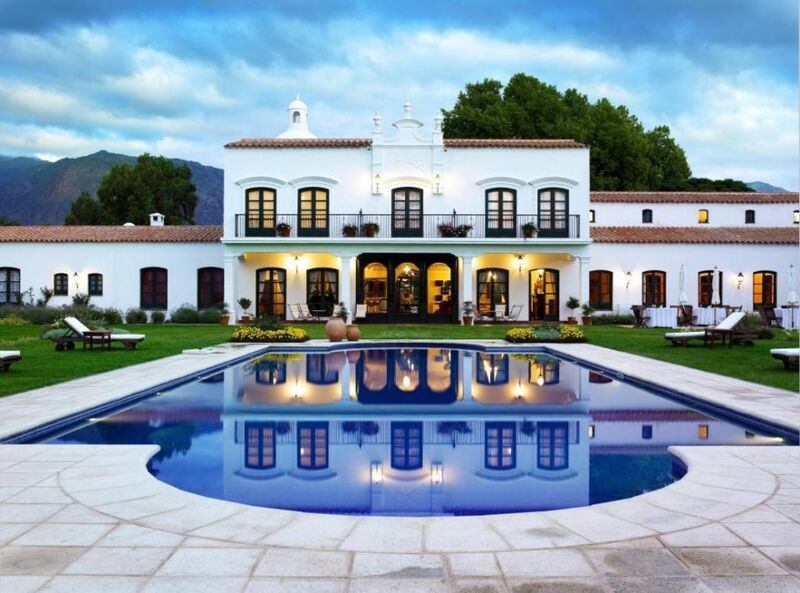 · Free accsess to the gym, spa, sauna, and pool. No pets or smoking allowded.